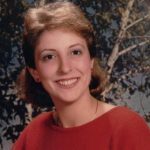 Brittany “Britt” Sharp, 50, of Granbury passed away on February 8, 2019. Memorial service: 11:00 a.m., Friday, February 15, 2019, Biggers Funeral Home Chapel, 6100 Azle Avenue, Fort Worth. Britt was born on July 25, 1968 in Anchorage, Alaska to James and Martha Pray Sharp. She cared about all of those around her. She strived to be positive. Britt enjoyed fishing, playing frisbee, games, puzzles, cards, and reading. Family and friends were dear to her heart. She was a caretaker, joyful, funny, very patriotic, witty, loving, compassionate and endearing. She will be missed by all who knew and loved her. She was preceded in death by grandparents Hi and Marie Sharp and Marge and Bob Pray, her stepfather Bob Taylor and uncle Mike Pray. Memorial may be made to St. Jude’s or an animal shelter of your choice. Arrangements by Wiley Funeral Home.